Shop Alesis DM10 MKII Pro Kit Electronic Drum Set from AMS with 0% Interest Payment Plans and Free Shipping. The DM10 MKII Pro Kit is designed for either studio or live performance. The DM10 MKII Pro Kit features upgraded sounds and intuitive controls, plus players immediately notice the improved feel, response and reduction in acoustic noise. 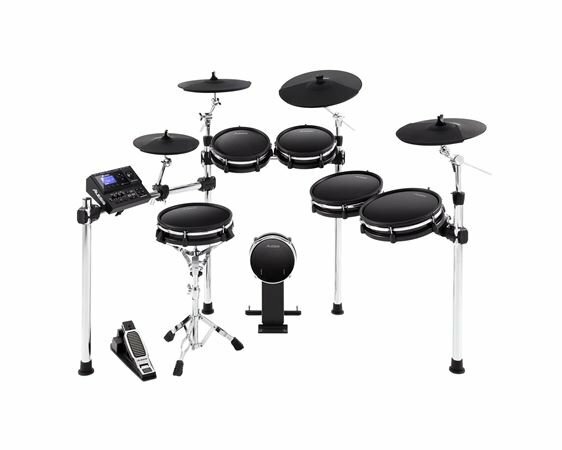 The DM10 MKII Pro Kit is a premium ten-piece all mesh electronic drum kit and comes complete with 6 drum pads (10/10/12/12 toms, 12" snare and 8" Kick Pad), four cymbals (12" hi-hat, two 14" crashes, and a 16 three-zone ride), and the heavy-duty chrome quick lock Rack and Snare drum stand. All pads come equipped with the exclusive Alesis tightly woven black mesh drum heads that dampen acoustic noise and provide a singularly natural drumming experience. The DM10 MKII Pro Kit ideal for quiet late-night practice sessions, as well as live performance and no-compromise studio recording. I play in a Gospel group with my Dad and sometimes a Church can stroke when you start setting up an acoustic set so we went with electronic. This set has been amazing. It fully meets our needs, sounds great, very responsive, lots of kits in the DM10 and you can even create your own which is what I did. It is easy to set up and take down and when I am practicing at home its easy on the neighbors. The sound guys at the houses of worship we play in like being able to control the sound easier with the electronic drums. Its not a an acoustic set and it takes some getting used to but over all I like it. I'll start with why this beautiful drum kit exceeded my expectations. First of all, the price seemed too good to be true for such a large drum set and naturally I was skeptical because of some mixed reviews around the internet. I started with acoustic drums so it was a scary leap for me to buy an electronic kit. The feel is amazing and I can barely feel a difference when playing vs. acoustic. The console is super easy to use without having even looked at the manual. The rim zone on the snare allows for those nuances that you would expect from an acoustic kit and the overall sound is just human. The kit is heavy-duty, well built and hundreds of times sexier than the photographs are able to make it look. The recoil from the mesh heads don't just add to the feel, they add to the human element as well, especially when it comes to the snare. 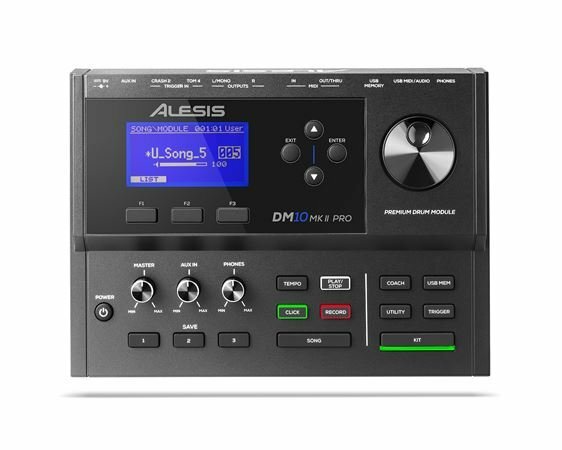 About mixed reviews: To my relief, many if not all the less popular reviews I have read around the internet prior to purchasing the Alesis DM10 MKII Pro Kit can be solved by adjusting the threshold and sensitivity settings in the console. This kit truly was designed to cater to your personal needs as a drummer. The fact that this kit is sold without a pedal was a godsend, I was worried I would end up paying for parts I don't need like a single pedal when I play with a double. 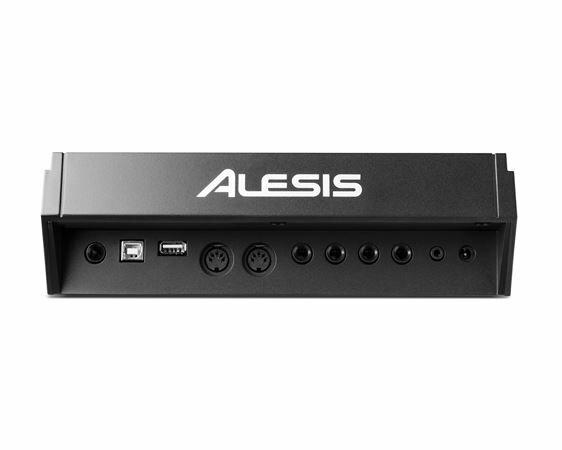 Overall experience: I am giving this 5 stars because this kit won me over and made me a believer in Alesis from the quality of construction to the playability and most of all the human element. Bravo, Alesis! American Musical Supply Experience: Also 5 stars because the customer service is incredible, the staff are insanely prompt, professional and more helpful than I have ever experienced anywhere else. Their payment plans are so hassle free it felt too good to be true at first, but it's the real deal and I fully recommend buying your gear at AMS. I’m very disappointed with the bass drum as I’ve had it for 40 days and it is not working anymore. I have a warranty and hope the company replaces it as I’ve spent a lot of money on this kit. I’ve had it less than 46 days and the bass drum sensor gave out. I’m hoping that Alesis sends me a new one that won’t bteak. The rest of the kit is great , but now I can’t play and I spent a lot of money and even bought an expensive AMP. After I got everything tweaked just the way I wanted it started to show some of its faults. The snare kept getting lower in volume as I played it (This was over the course of 2-3 days). I adjusted the sensitivity, I raised the volume on the pad itself and nothing seemed to make it better. It did this until there was no sound at all. I had to do some real searching and it ended up being caused by a broken wire connecting the pad to the output jack. It wasn't a bad solder either, it was no joke, a split wire. Not something I expected from a brand new kit and apparently it happens a lot as I found on some forums. A second issue I had was that the cymbal pads don't register playing at high speed very well and will end up skipping hits you may make. lastly, the kits aren't all up to par on sound quality for me. The good ones are really good, and the bad ones are absolutely terrible. Do some research first as I exchanged mine for a Roland. Perfect for recording and at an amazing price! Nice feel to the mash pads (all double trigger), cymbals (triple trigger and choke!?!) work as intended and sound good and realistic. Kick tower doesn't tend to "move", it is where I set it 2 moths ago, I didn't need to readjust anything. Toms sound excellent, nice variety if kicks, high hats are as good as they get. I only found one snare that is convincing at each velocity level, so far, even though I've tried hard, that is a bit of a turn off. I am talking about presets. Once you edit them you can dial in pretty much any sound you like, but you need to figure out first how the levels and pages of editing work. I use it in my studio, works very well. I record the MIDI notes to an Akai MPCX and edit them there, if needed. Plenty of practice songs to play along with. Cheesy melodic instrument sounds, but great beats, so really helpful. It does look better than anything else in its price range, too. Am I too vain? Yep. But very happy with it. kit looks,sounds,and plays great lots of options to tinker with. i will definitely be using AMS payment plan again in the future!